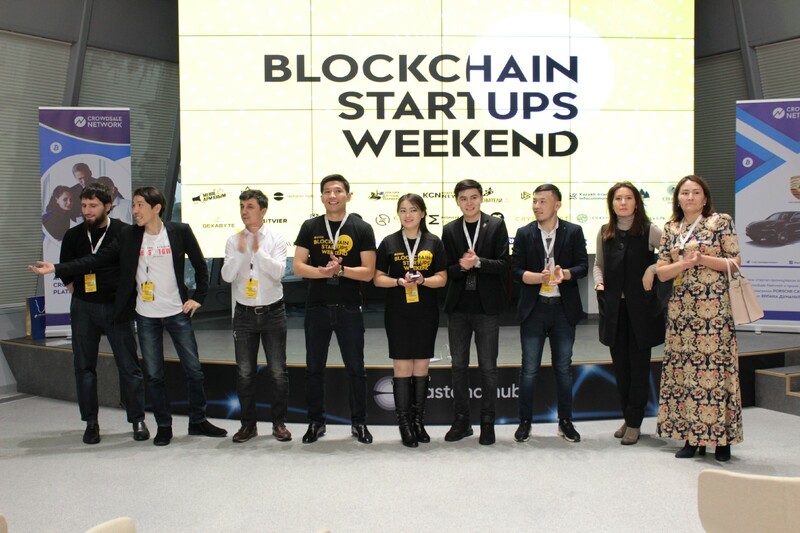 Like last year, professional speakers, practitioners, recognized technology experts, current entrepreneurs, miners, blockchain developers, academics, doctors of economic sciences and investment fund managers, business angels took part in the forum. 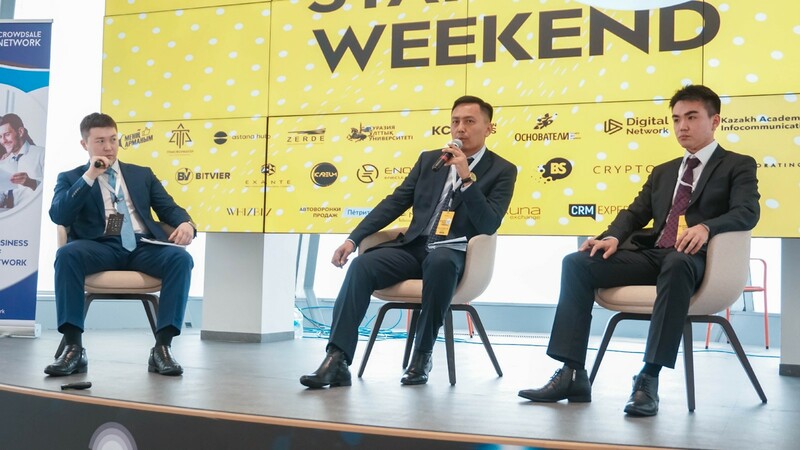 More than 20 speakers presented at the Blockchain Startups Weekend, including Shakhmaran Seilov, Professor of the LN Gumilyov Eurasian National University, doctor of economics, academician KazNAEN; Larion Lyan, Investor, founder of the IC-Group holding, founder of the reality show (Founders) Osnovateli.kz, Malik Murzashev, CEO of Ice Rock Mining mining farm, first Kazakhstan-based ICO, who raised $ 8.6 million, Bakhtygul Kasymova, Head of start-up competition, reality Show Menin Armanym, Arthur Sundetov, Co-founder of Gexabyte, blockchain developer, cryptographic specialist. 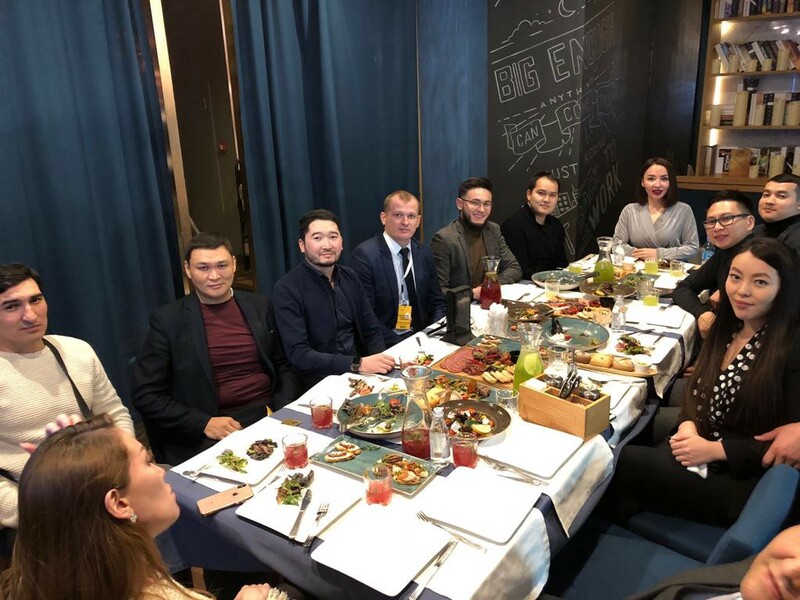 The representatives of the funds, namely Artem Lukashin, Co-Owner of the Moneyball Funds Fund, revealed the topic of investment opportunities in cryptocurrency; Marat Mynbayev, Founder of Amir Capital investment fund; Andrei Chebotarev, Representative of the broker company Exante Kazakhstan; Ilfat Tuyebaev, Director of the hedge fund “10X CRYPTO CAPITAL”, blockchain expert. The forum included a discussion panel “Cryptocurrencies and regulation in Kazakhstan”, where Olzhas Murtazin, President of the Digital Technology and Cryptoindustry Association “DIGITAL NETWORK” took part; Yermek Rustembek-uly, Founder of the first in Kazakhstan Center for digital law; Nursultan Utkelbayev, Senior Associate lawyer at PwC. The first part of the forum was concluded with motivation from Serik Esmatov, an active public figure, a Paralympic athlete, and a winner of the Asian Youth Paralympic Games. The story of Serik Yesmatov and his speech instilled confidence in novice entrepreneurs, made it clear that the impossible is possible. 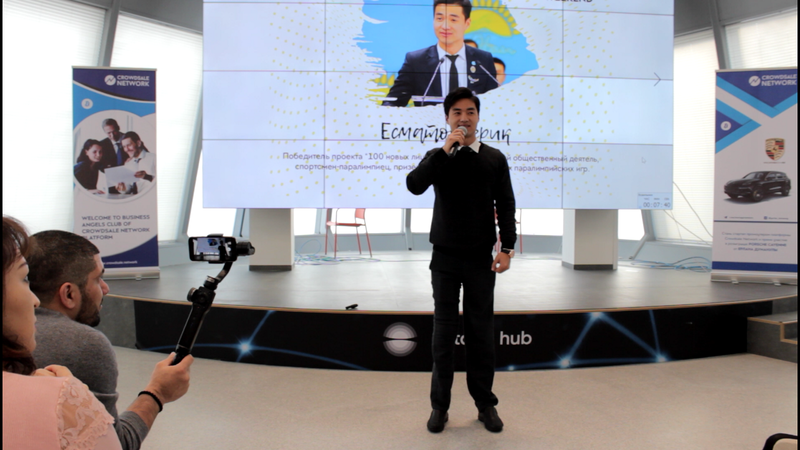 By the end of his speech, Yerlan Dumanuly took the microphone and suggested to launch a crowdfunding project on the Crowdsale Network platform to raise funds for the opening of Esmatov’s marketing agency so that Serik could organize his motivational trainings to thousands of audiences with the help of a team of professionals. This proposal was supported by all forum participants. From the educational part, the forum moved to the second part, to the current startups that make the most of the blockchain technology, tokens, and cryptocurrencies in their ecosystem. Omarkhan Sarsembayev, a cryptanalyst, businessman, demonstrated the capabilities of the new Bitspace mobile application, which allows tokens to be used to receive discounts and bonuses from various businesses. The application is available, both in the App Store and in the Play Market and already merchants are connected from 14 cities of Kazakhstan and from other countries. The first domestic high-grade product with the use of tokens aroused great interest on the part of the forum participants. Dmitry Iskakov, CEO of the Cryproadaptation community, spoke about the ICO project ICAREUM, which is the first decentralized online service for creating interactive architectural visualizations. 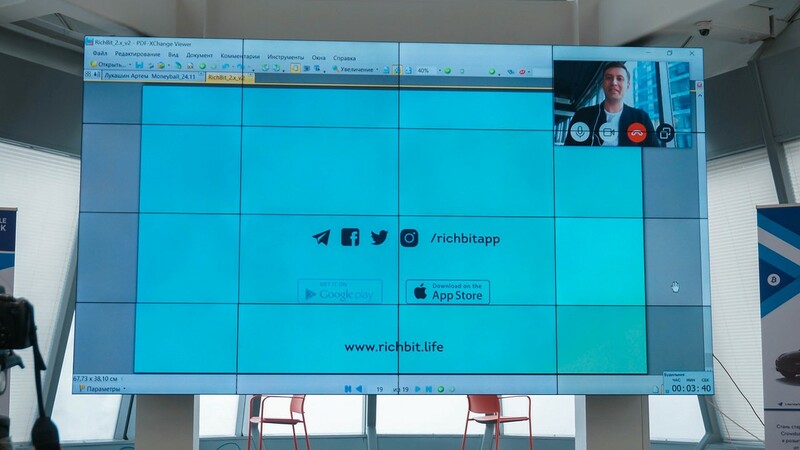 Speaker from Moscow, Vladimir Mamatov, PR Director RichBit, spoke about the Richbit project. RichBit is a new generation social network — anonymous, free and fully interactive. RichBit offers its users a unique virtual world that is intertwined with the real world surrounding the user to such an extent that user actions in the RichBit digital universe can affect the user’s real life. Multi-functionality and modern features of the new social network interested investors. Recall that the beginning of ICO tokens RBX is coming soon. The next project especially surprised people close to arts. 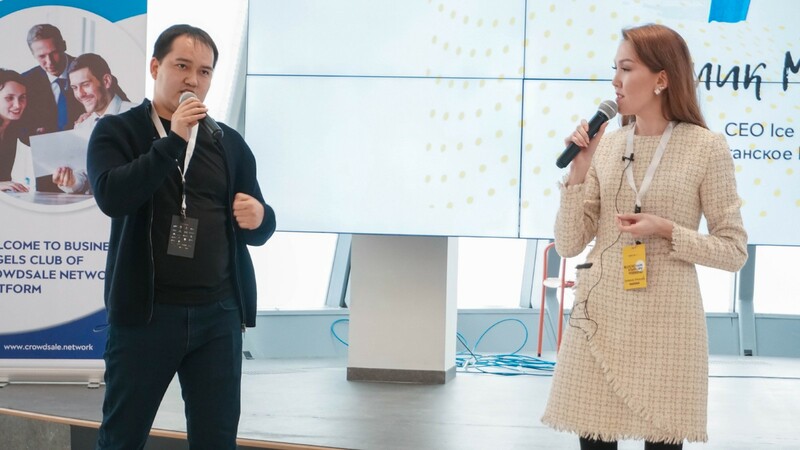 Salamat Mukhammed-Ali, Kazakhstani filmmaker, director and Alpamys Sharimov, TV-producer, Advisor to the Foundation for the Support and Development of Contemporary Art Whiz Biz, spoke about the prospects of the music and film industry. 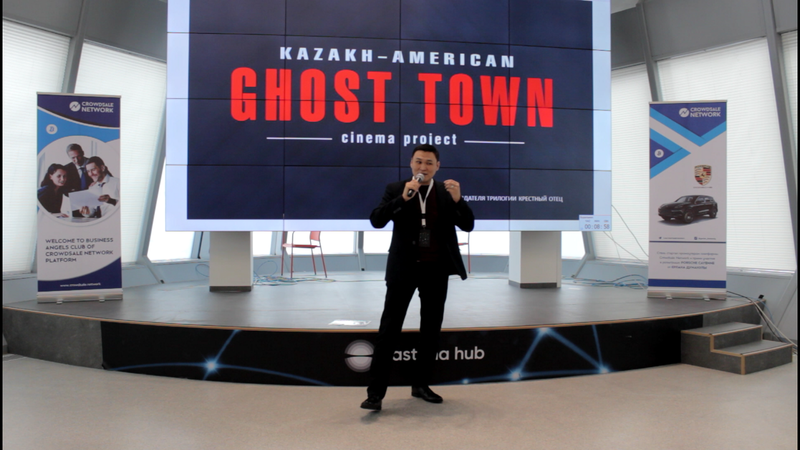 At the moment, work has begun on the Kazakhstan-American film project Ghost Town, for the shooting of which the finances are raised through Bitcoin cryptocurrency. The script of the film is based on real events about the missing 8 students in the Ghost Town in Oklahoma in 1999, the genre of the film science fiction, a film about parallel dimensions. The film will be shot in the USA in English for an American audience. The results of the entire forum were summed up by a specially invited guest, a businessman, an investor — Serik Baigireyev. He told that we came to this world to help each other. “I want to engage in start-ups, invest in prospective projects, share the experience. Because now there are a lot of interesting people with ideas that have neither finance nor experience. And we can help them. And there are many businessmen, investors like me. Feel free to pitch your projects, ask for advice, ask for resources and do not give up! 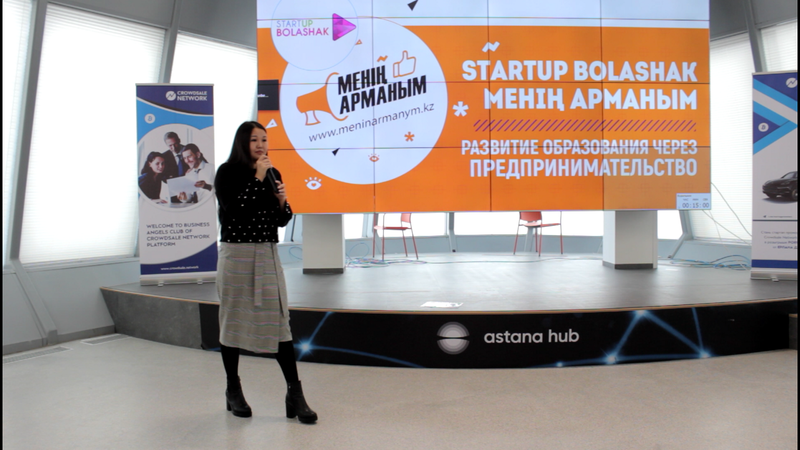 ”Said Serik Baigireev to the forum participants, focusing on startups. The forum ended with a gala dinner. Each speaker shared his impressions and thoughts with each other, which he emphasized for himself from the forum. Most were touched by the motivation of Serik Esmatov. “I am 46 years old and all my life I set my first goal on making money, but today I listened to Serik Yesmatov, I felt ashamed that there are people who do more than making money. 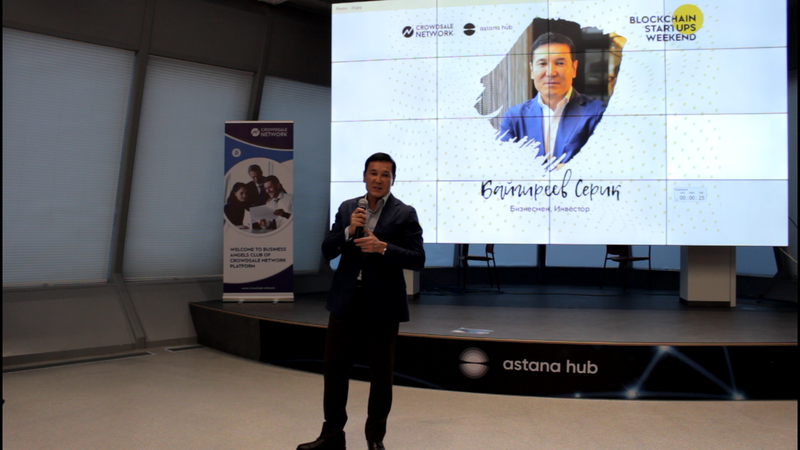 And I will be happy to join to finance a crowdfunding project to launch the agency for the organization of motivational training and events by Serik Yesmatov, ”said one of the speakers.